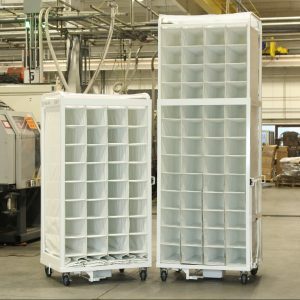 Do you need to easily transport parts from one line to another, but they’re too large for a handheld tote? 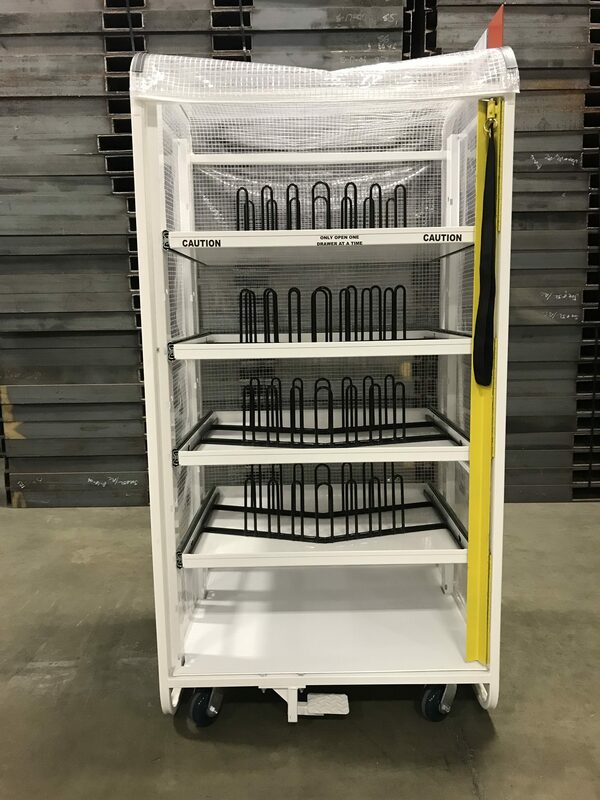 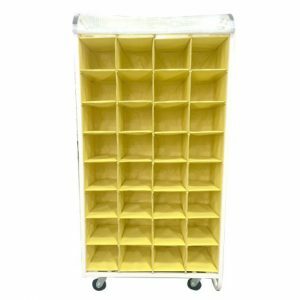 WIP racks are perfect for moving in process parts between work stations and facilities. 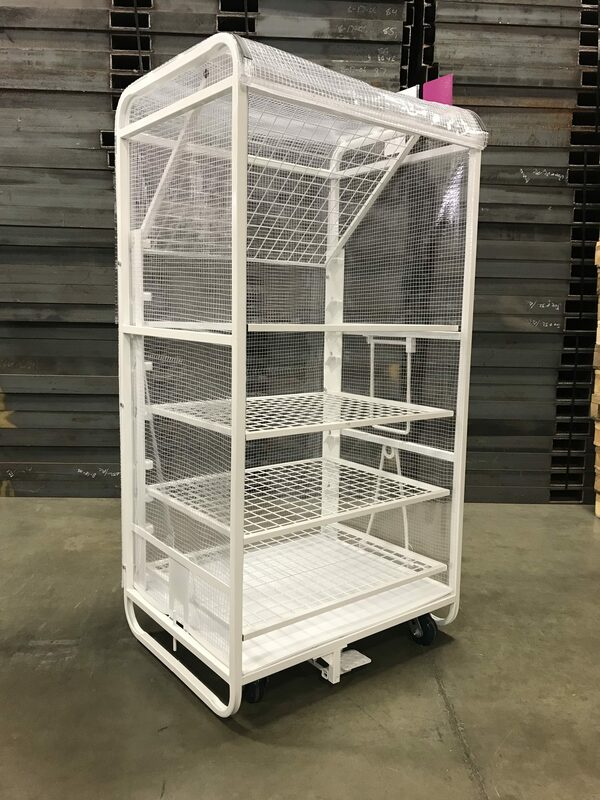 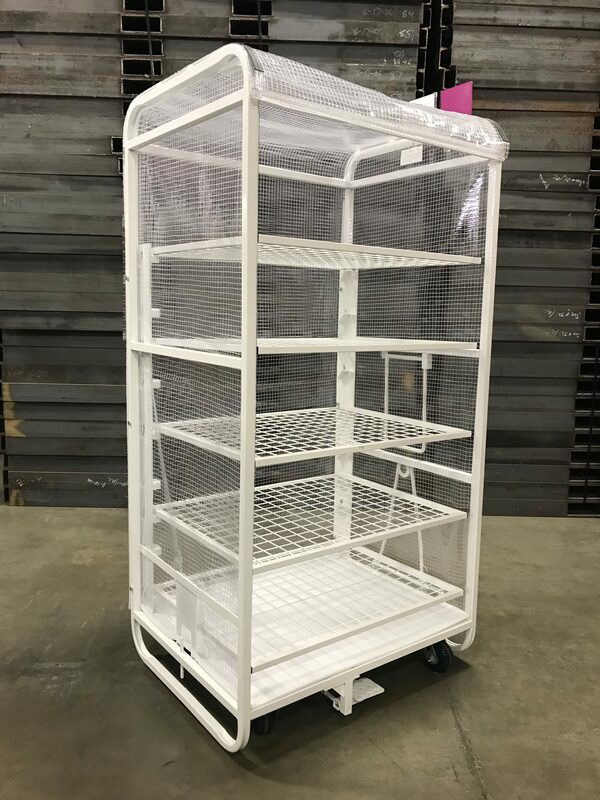 Made with lightweight materials, WIP racks are easy to maneuver. 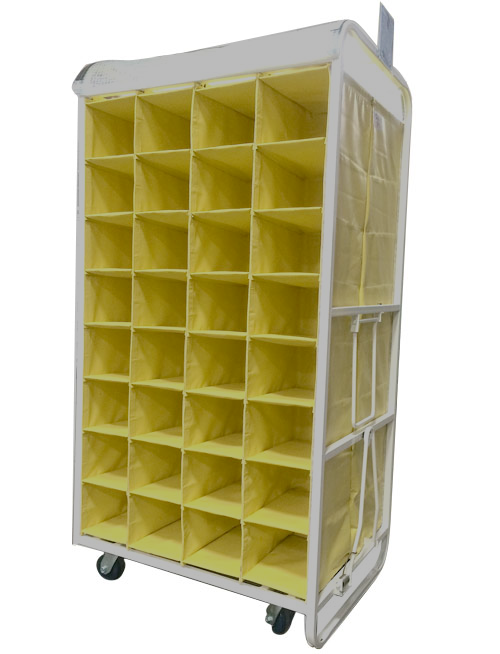 Sewn bag WIP racks come in a variety of cell sizes and configurations. 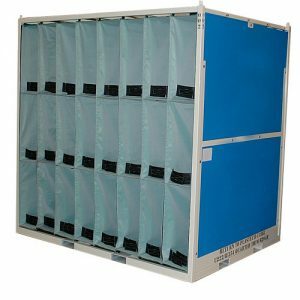 Fire-retardant materials come in various colors and are available in both ESD and Class A friendly varieties. 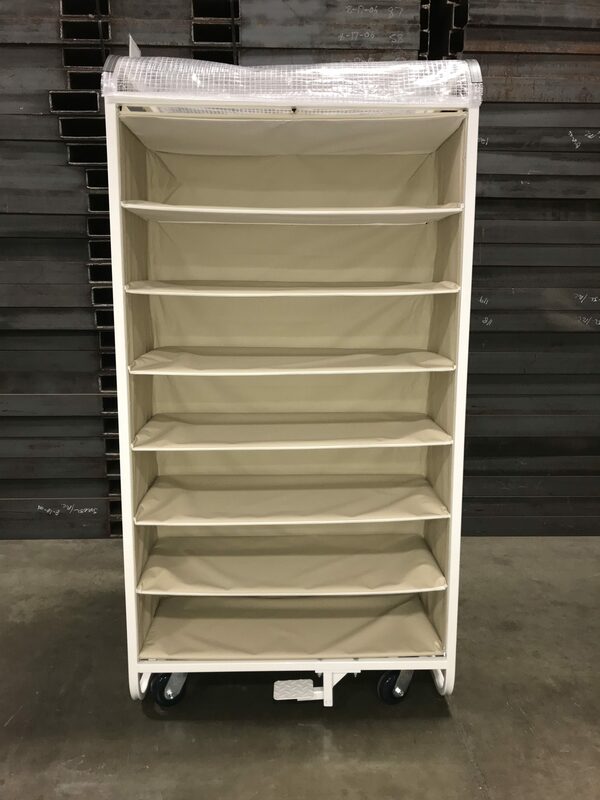 WIP racks can also come with pivoting shelves or pull-out drawers. 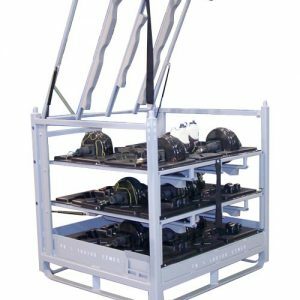 With optional casters and towing equipment, WIP racks can be hooked into a train and easily pulled behind a tugger, fork-lift, AGV, or by hand for efficient material flow. 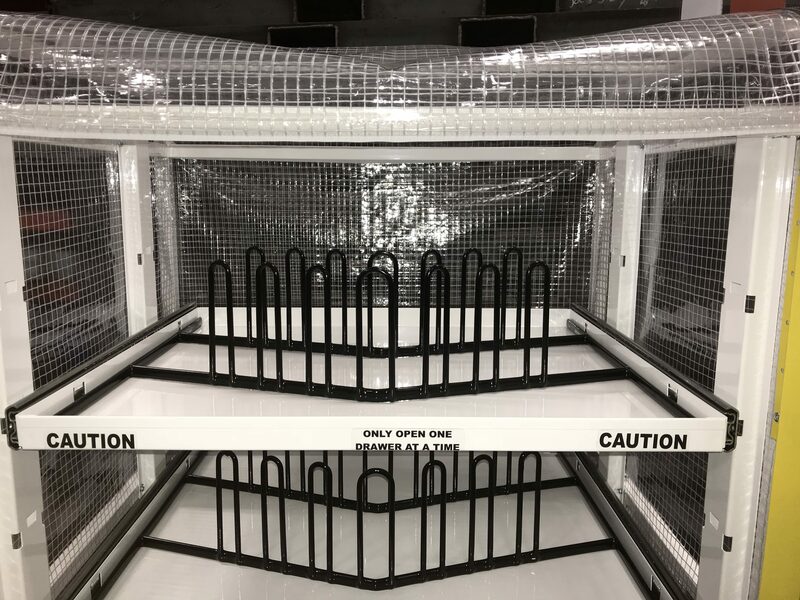 For those with extreme floor space constraints, look at our brand new RZR Rack!